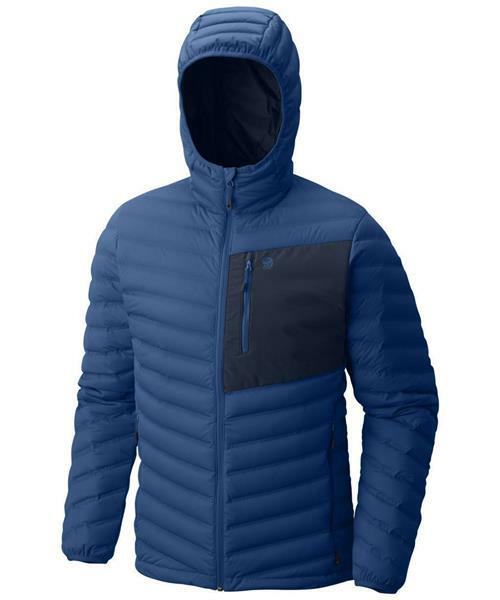 The hooded version of Mountain Hardwear's instant classic StretchDown jacket. Built for those irrational outdoors enthusiasts who demand a warm dome to go along with unmatched mobility, warmth and comfort. StretchDown Hooded Jacket - Mens is rated 5.0 out of 5 by 1. Rated 5 out of 5 by Ken72 from Lightweight, compact and warm I am very happy with this jacket so far. I've not packed it yet, so don't know how it packs down. But it is very warm (but not too warm) for it's thickness / bulk on the body. And it feels great to wear. I like the pockets and the hood.